The simple and linear designed Card Box by Lexon offers room for standard business cards. It is perfect to always have your own contact cards at hand in a classy case. Thanks to its slender and elegant design, the case allows to be stored at work, at trade fairs and on other occasions, simply in your jacket's pocket. 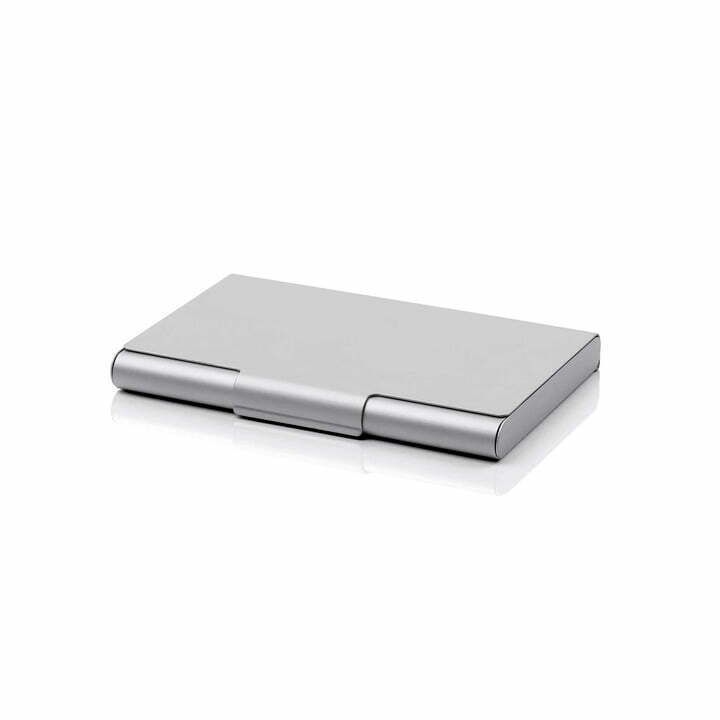 The Card Box by Lexon Studio is made of anodised aluminium and is available in subtle colours. Product view of the Card Box for business cards by the manufacturer Lexon out of aluminium. The Card Box designed by Lexon Studio, is made of anodised aluminium. 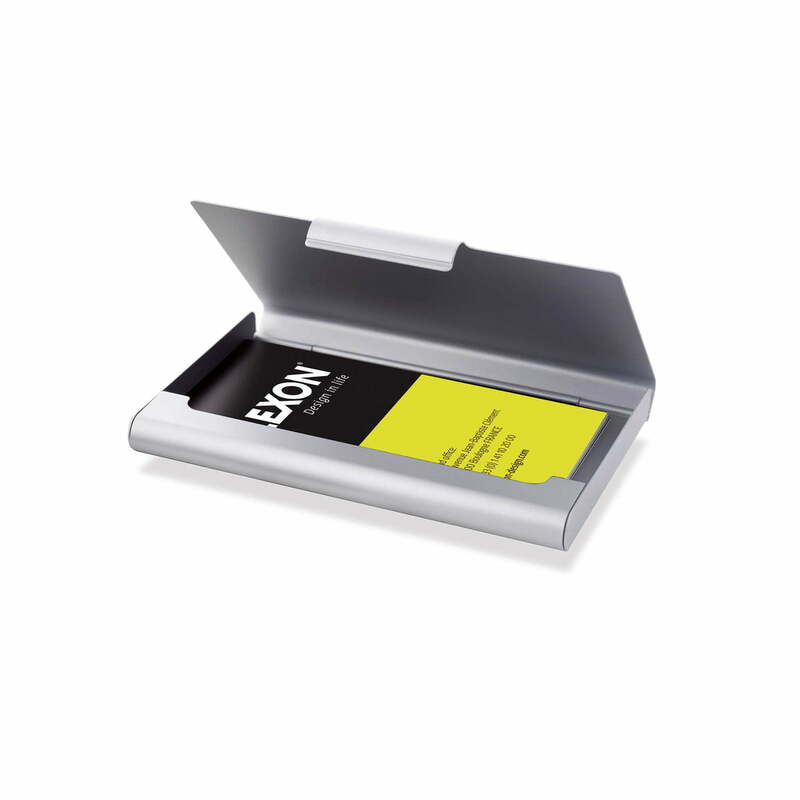 The simple and linear designed Card Box by Lexon offers room for business cards. It helps you collect and keep contact cards in a stylish way in one place. The box is also perfect to keep your own business cards at hand. 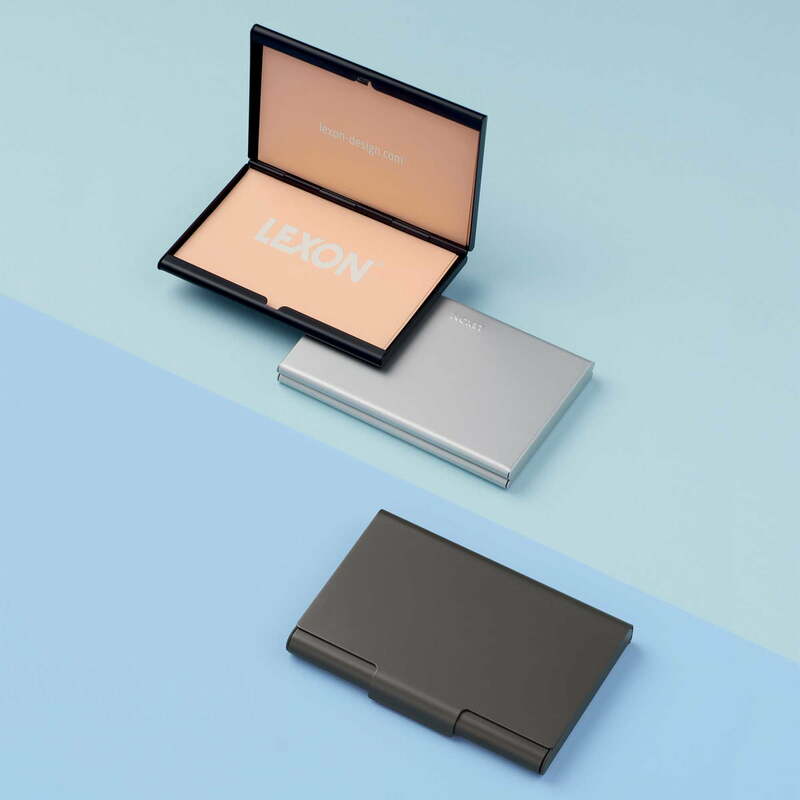 The Card Box by Lexon Studio for the manufacturer Lexon is made of anodised aluminium and is available in different subtle colours, for example in gun.